This latest issue around the disposal of toxic soil from Boolaroo is incredibly frustrating. As I say in this Newcastle Herald article, it's become somewhat of a debacle, although blame for the latest delay lies more with Newcastle Council than the EPA. This deal was agreed on last year. The EPA has issued two media releases to announce start dates, first in February and then August, but those dates have long past and people like Mark Hambier, who are doing the right thing, are still waiting. An embarrassing fiasco is the only way I can describe it. IT was hardly a punishing schedule. In 2015, authorities announced that Newcastle City Council was investigating building a containment cell at its landfill site to accept lead-contaminated soil from north Lake Macquarie. More than a year later, the Environment Protection Authority (EPA) said residents could start dumping the soil - a legacy of Boolaroo’s former Pasminco lead and zinc smelter - at Summerhill tip from February. Then the date pushed out to August 14. Having already waited months to start subdivision and renovation work at his Boolaroo property, Mark Hambier pushed ahead with his plans. “I saw it on the news that everything was approved so I got moving and started the work,” he said. “Now I have huge piles of uncovered contaminated dirt just sitting in my yard and no-one will take it or seems to even care. According to the EPA’s own advice, lead-contaminated soil should be disposed of in a “timely manner” once it has been disturbed. Hundreds of tonnes of dangerous heavy metals were emitted from the stacks of the Pasminco smelter, one of the region’s chief polluters, over 106 years. Lead can cause health impacts, especially for young children and unborn babies, including learning problems, hearing loss, slowed growth and behavioural problems. When the smelter closed in 2003, toxic pollution was left across large parts of Boolaroo, Argenton and Speers Point. Hundreds of homes still contain levels of lead in soil significantly higher than national health guidelines of 300 parts per million. For a development application to be considered, residents in the contamination zone must test and remediate the soil. Testing revealed the soil on Mr Hambier’s block had a lead level of more than double the Australian guidelines for residential soil, or 720 ppm. For work to go ahead on the site, 150mm of contaminated grass and soil had to be scrapped off the block and clean soil trucked in. Mr Hambier said when he called the EPA to register to bring up to 40 tonnes of lead-laden soil and grass to Summerhill, he was initially told it was alright. He later received a phone call from the EPA, just as a truck was being loaded in his yard, and was told Summerhill wouldn’t accept the soil. “I followed all of their guidelines and rules about what to do and then they told me I couldn’t take the dirt there,” he said. Mr Hambier said when he complained, he was told by the EPA that he could place the contaminated soil in skip bins, cover it and store it at Summerhill until the containment cell was open. “When I asked them who had to pay for the skip bins, they told me it would be at my expense,” he said. Lake Macquarie MP Greg Piper said residents were told “unequivocally” that August 14 was the start date. “It’s an embarrassing fiasco and I can understand Mr Hambier’s frustration with it all,” Mr Piper said. Residents were previously able to dump lead-contaminated soil free in a containment cell on the former Cockle Creek smelter site. Almost 2 million cubic metres of contaminated material was placed in a 45-metre-high containment cell in a 19-hectare area on the site. The cell was capped in early 2015, leaving residents with nowhere in the Hunter to take lead-contaminated soil. Following the Newcastle Herald’s award-winning Toxic Truth campaign, the NSW Government agreed to find a way for residents to safely dump the soil in the region. But the dumping is no longer free. Once the containment cell is open at Summerhill, residents will receive a “reduced rate” after the $138.20 waste levy is waived. The fee will be $275 per tonne to dump at Summerhill, plus transport costs. The soil must be isolated from other waste to reduce exposure to acidic landfill conditions. In a brief statement, an EPA spokeswoman said that Newcastle City Council was undertaking “further work in relation to Work, Health and Safety”. She did not give a date when Summerhill would accept the soil. “The council is working to address its outstanding issues at Summerhill,” she said. A Newcastle City Council spokesman said Summerhill expected to be ready to accept soil “sometime” in October. 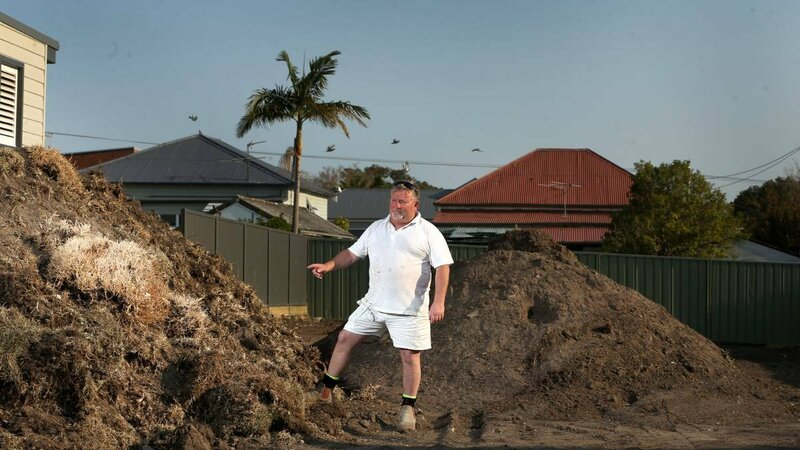 “The EPA, which can modify Summerhill's licence to accept materials at any time, announced in August it had varied Summerhill Waste Management Centre's environment protection licence to accept lead waste from Lake Macquarie residents,” he said. “The licence contains certain conditions with impacts that were not fully known until it was formally issued. Mr Hambier described the situation as “buck passing”. “No-one wants to accept responsibility,” he said. The council spokesman said it was “finalising” measures to ensure Summerhill complied with its licence conditions. He said the lead-contaminated soil would be stored in one-tonne bulk bags that would be unloaded in a designated area at Summerhill using a forklift. The area will sit behind a bunded wall and be lined and covered.